The other day, while driving around the burbs, I heard a recording of a song on the radio that took me aback. It’s a number I’ve listened to many times in my life. Sinatra sang it (click here). Judy Garland sang it (click here). Hell, it’s likely that Bob Dylan, who has been recording nothing but standards over the last few years, will get to it before too long. Photo by Larry Busacca, Getty Images. The song was Last Night When We Were Young. Harold Arlen and Yip Harburg, the guys who are most famous for composing the songs in The Wizard Of Oz, wrote Last Night in 1935. Harold, as always, handled the music and Yip the words. The song is a beauty. Its melody is wistful. Its lyrics, direct and simple, are also profound. And the version I heard the other day, by Tony Bennett, seemed so right. Tony was singing softly, unusually softly for someone who rarely has shied away from issuing scads of notes with lungfuls of oomph. Discretely backed by only three instruments – piano, upright bass and drums – he took his time analyzing the lyrics, hitting, I thought, his contemplation buttons precisely. Naturally, that put me in a contemplative mood. Love was a star, a song unsung. Today the world is old. You flew away and time grew cold. I mean, wow. Talk about poetic. Talk about graceful. Talk about powerful. Yip Harburg was tapped into the higher frequencies of the ethers when Last Night’s images came to him. Here’s a song that speaks of love’s precariousness, of its sometimes fragility. But what actually has happened? Has the narrator and his/her mate argued violently, unexpectedly? Or has the mate, feeling inadequate upon discovering that there is much more to love than he/she ever understood, bailed out of the relationship? Ah, it’s a mystery. Any number of scenarios might be devised to fit the verses. That’s the genius of Last Night’s words. But you know what? When, a few days later, I decided to write a piece about Last Night, I listened at home a couple of more times to Tony Bennett’s recording. And I saw that I had been mistaken in my assessment of his approach. Most singers fall into melancholy mode when singing this song, and in my car that’s what I thought Tony had done. It must have been his hushed vocals that threw me off. Tony, I realized, came at the tune from a different angle, a slyly jaunty one. He sang with the glint of a twinkle in his voice. And that’s when, for a minute, I thought that he was doing the song a big injustice, missing its talking points, missing the pain and suffering embued in its stark and elegant phrases. I’ve had long talks recently with two of my greatest pals, Mike and Dave. I’ve known each of them since childhood, which for us took place not long after William The Conqueror invaded England. Mike and Dave make me look like a slacker, which isn’t hard for just about anybody to do, to be honest. Working long hours in demanding professions, they set a remarkable pace. Huh? Me, old? Speak for yourself, Dave. I know for certain that beautiful girls still steal glances at me when I pass them on the street. Some might say that they’re eyeing my luxuriant nostril hairs, but I know better. Thanks, Tony. I needed that. Believe me, I can dig it. This Mike passed 70 last October and has been listening again to Tony Bennett with Bill Evans and was struck by how “grown up” all the songs were’ Slightly jaded, a little bit sentimental with a touch of vinegar, optimistic in a pessimistic kind of way. Summed up my mood perfectly. Hi. The Bennett/Evans album is great. Have you heard the album that Tony made with pianist Bill Charlap a year or two ago? It’s really good. Haven’t heard that. Must check it out. Yes the poetry is beautiful. Hello Cindy. Arlen and Harburg were a great songwriting team. They created so many terrific songs. Your last paragraph nails it Neil or is it Tony? Good one fella. The song rendition is absolutely fantastic. I like Tony’s take. Always a couple ways to look at things. Tony’s something else. One of the greats. 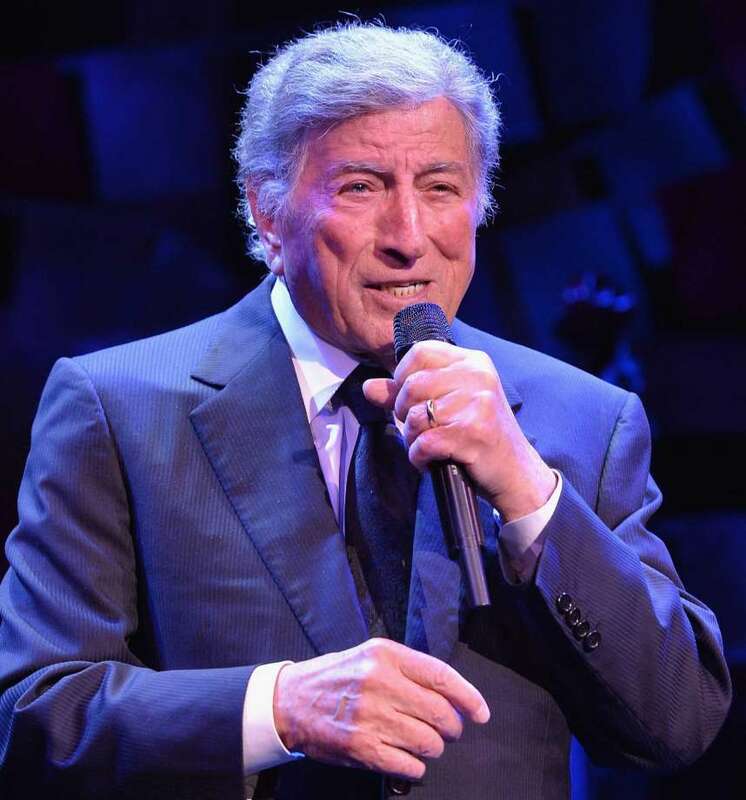 Tony Bennett always comes across like the cat who got the cream, and so he should. What a wonderful career he has had in his later years (duets with Lady Gaga indeed) and quite right that he should give you, Mike and Dave a good talking to. It’s all about having “passions” in later life and if you are in the fortunate position of not having to do the daily grind in order to earn the monthly pay cheque, all the better. Love your posts as always interesting and amusing – Long may you continue. Thanks very much, Alyson. I appreciate it. Thanks for visiting, Jerry. Glad you enjoyed this piece. I listened to both Sinatra and Tony’s version, and although I like Sinatra, I definitely liked Tony’s version better. Since I’ve retired, I look at the meaning of what I do often and if I add something good for someone else on any one day, then I feel that’s why I’m here. Hi. Thanks a lot for adding your thoughts. I appreciate it. You know, I like many genres of music and countless musicians. Still, if I had to name the best singer ever, I’d pick Sinatra. When he was in his prime his voice was amazing and he could get inside a lyric incredibly well. Probably it’s not as well-known as it deserves to be. Tony’s really something. At age 90 he still sings very well. He’s amazing. Hello, and thanks. I appreciate that. Neil, these crooners like Sinatra and Bennet are so not my cup of craft beer, but for you I’ll give it a listen! Will share a post with you at some point next week about a song that means something to me, inspired by your post about the Woody Guthrie song you put up recently. Good work, as ever, fella! Andrew, I’m looking forward to your story. Take care, and enjoy the weekend. This proves again that Bennet is more than “I Left My Heart In San Francisco”. He’s a well rounded artist. By the way, have you seen any of his paintings? They’re magnificent. Hi. Travis Smiley interviewed Tony recently. On that show, Tony said that he paints every day, often in NYC’ s Central Park. He lives near that park. If he had to choose between singing and painting, I wonder which he’d pick. I was thinking this would be a perfect funeral song. As I continued to read your post, I’m sure of it. Life’s short is what those few lyrics seem to be saying to me. I like your interpretation, Kathy. Time flies by, for sure. My friend Alan has some good thoughts, too, just below your comments. He was right to wag his finger !!! Imagine if we live to his ripe old age, there would be 2 possible approaches : a pessimist would waste all those years worrying about his health, what to eat or drink, all the dreadful diseases he could die of and not enjoy his extra time on earth ; or an optimist would enjoy life like a 20 year old thinking he has his life ahead of him. Clearly the second more carefree approach is best. Neil….very well written and yes, that’s a beautiful song. Glad you shared it! Hi. Thanks for stopping by. I read somewhere that Harold Arlen liked this song the most of all those he composed the music for. Loved this story, Neil! It’s inspiring at any age! Thanks very much, Dianne. I appreciate it. First, I love the word jaunty for Tony Bennett. And after listening to the versions by Frank, Judy and Tony, I preferred the jaunty one. But then I got to thinking, wait, is there a Tony Bennett song that is not at least kind of jaunty? Is there one I’m forgetting that is tear-inducing, with no hint of, and I’ll use another of your words, twinkle? Hi. Thanks a lot for visiting. Amazing what songs do for the mind body and soul. Sometimes we even hit a home run (a full rejuvenation).😄Tony Bennett is great! You’re right. Music has great powers. And I agree with you about Tony. He’s tremendous.